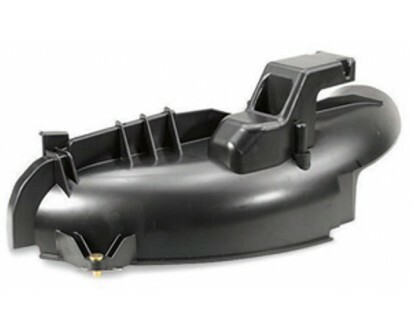 A mulching plug attachment for the Mountfield 827 66 cm ride-on lawn mower. This Mountfield mulching plug allows you to change your lawn mower into a mulching machine by removing the collector and adding the plug into the chute. This will mulch your grass clippings and recycle them into the lawn providing a natural fertiliser. 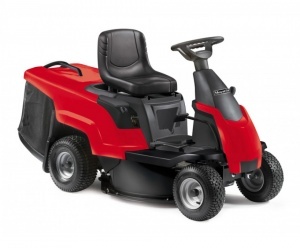 With manual transmission, a 26 inch cutting deck, 150 litre collector and 224cc Mountfield engine, the 827M is excellent for smaller gardens, with its ease of use and simplicity of operation. The 827H Mountfield Compact Ride-On is powered by a 224cc Mountfield Engine, with Hydrostatic Transmission, a 26 inch Cutting Deck and 150 Litre Collector.